There are many reasons why you should learn how to do the paper rose napkin, both when doing magic tricks and non magical. People enjoy getting given paper rose napkins. People enjoy watching a paper rose napkin being created. Many people would put the paper rose napkin into the same category as balloon dogs. 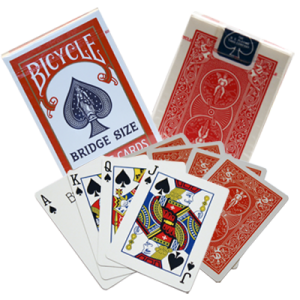 The process is simple and you are attributed with better skills than you have in reality. They make great mementos that can easily be given away. The paper roses napkins are cheap to make when it comes to time and resources. 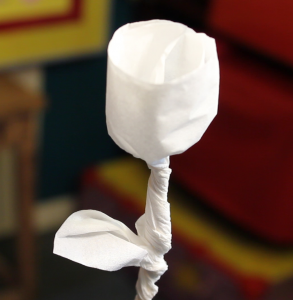 If you are at a food establishment you can make a paper rose from the napkin and it costs you nothing. If you want to be prepared you can carry a napkin in your pocket of wallet and they you can make a special rose gift at a moments notice. If you are giving this to a love interest you can really benefit from the ‘ahhh’ factor that it brings. Whether you give the rose to a girlfriend, boyfriend, wife, husband, mother or father you can rest assured it will always be well received.